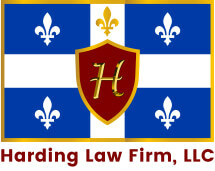 From offices in Griffin, Georgia, the attorneys of Maddox & Harding, L.L.C., provide zealous representation for clients who have suffered injury or the loss of a loved one due to the negligence or misconduct of others. At Maddox & Harding, you can trust your attorney to take a detailed, personalized approach to your case. Attorneys Todd Andrew Harding and William J. (Bill) Maddox offer clients more than 15 combined years of practice. You get the advantage of knowing that your lawyer is backed by the support of the entire team. At the law office of Maddox & Harding, L.L.C., we aggressively represent people in the south Atlanta metro area who have been injured by the carelessness or negligence of others. Our Griffin accident and personal injury attorneys carefully prepare every case for trial. We gather and evaluate all evidence, talk to witnesses and work with experts so that we can present the most compelling case for your recovery. All personal injury litigation cases are handled on a contingency fee basis. We charge no retainer, case preparation costs or attorneys' fees unless you recover money in a settlement or jury verdict. Attorneys offer a free consultation and work directly with their clients throughout the case. At the office of Maddox & Harding, L.L.C., we take a strong stance on behalf of people who have suffered needless personal injury, including individuals hurt in motor vehicle accidents. At the law office of Maddox & Harding, L.L.C., we aggressively protect the rights of people who have hurt in an accident involving a commercial truck. At the office of Maddox & Harding, L.L.C., we understand how you feel. We take an aggressive approach on behalf of victims of medical malpractice.